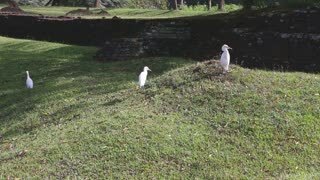 The view of herons in Sigiriya, an ancient palace located in the central Matale Distric. 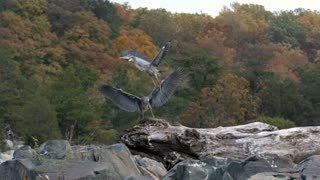 Flight of herons above meadow. 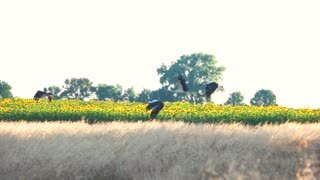 Flying birds above sunflowers. Follow leaders: Flock of birds flying in an imperfect V formation. Slow motion. Birds flying in formation, full moon background. Closeup. Heron stands on a rock in the moddle of a pond in winter. 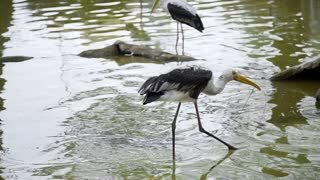 Heron standing on a rock in the middle of a pond. 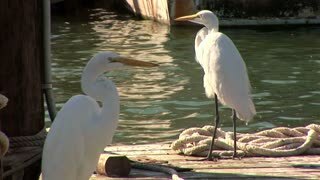 Calm bay and birds frolicking..